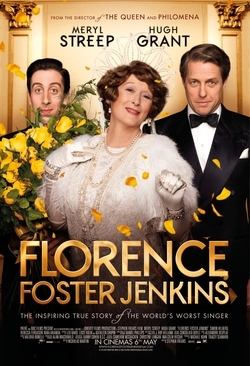 In 2015, French director Xavier Giannoli completed Marguerite, a long-gestated project on the subject of Florence Foster Jenkins. Though relocated to France, in all its important details it tells the true story of an eccentric 20th-century American heiress whose voice could not only sink a thousand ships, but among whose friends and family no one, it seems, felt more for boats than for their profoundly tone-deaf benefactress. Though DVD versions are available to Polish film lovers as Niesamowita Marguerite (Amazing Marguerite) and to hearing-impaired Germans, as Madame Marguerite Oder Die Kunst der Schiefen Toner (The Art of Wonky Sounds), English subtitles have yet to be added. On the bright side, there’s clearly some wind left in the sails of that badly battered barque, the EU. And a Western European product going east to long-established audiences of passionate film fans only mirrors the long-established trend of great movies coming from, for example, Poland, Hungary, Romania, and the Czech Republic. It does seem a pity, though, that west of Calais, Marguerite is unlikely to stun many of us with her many-layered charms. As it happens, I came across it on Amazon Prime – a good reason not to let fly too prematurely at Brexit or the new Pax Americana. And this was also where, a couple of weeks earlier, I watched the famous Frears version (Florence Foster Jenkins). The first thing to say is that, for all the similarities of plot, the two films are stylistically very distinct. But the fact that they emerged together so close in time only deepens a sense of intrigue. Above all: why the interest in a rich lady’s obsession with an art for which she has no talent, yet who insists on performing in public? We certainly notice Florence/Marguerite’s lack of “normal” self-awareness: she has no talent but remains oblivious to this incidental detail. Meanwhile, in both films, no matter how badly Florence/Marguerite sings, the people closest to her – and most dependent on her money – keep their lips zipped. But by helping to seal out the rain of honest criticism, the heroine’s fabulous wealth ruins any hope of a well-watered creative flowering. Unsurprisingly perhaps, it’s the French film that expects us to think more deeply about all this and about what Art actually means, both to artists and to wider society. Giannoli’s film, for example, shows La Baronne Marguerite’s rendition of “La Marseillaise” leading swiftly to treason charges. Questioned by a hostile tribunal about her “subversive” gesture, she replies, in all innocence, that the anthem is and always has been radical, n’est-ce pas? And though it takes place in a Parisian cabaret, her performance is not an anti-patriotic gesture. On the contrary, Marguerite has been shamelessly duped by a sly young man of the avant garde who sees only a great opportunity to shock the old guard, while Marguerite’s sole wish was to escape the clutches of her entourage and – rather than the usual bunch of hand-picked socialites – find a “real” audience. The end notes of Frears’s film are Hollywood enough to emphasize a sense of ultimately triumphant humanity. Florence is in her last illness and no nearer to singing beautifully than ever. But all her important friends are there, especially her sexually unfaithful but otherwise devoted husband. He, by the way, is played to a tee by a Hugh Grant finally allowed to drop the money-spinning trope of ever-young English fop. Here he’s middle-aged, managerial, even a touch manipulative. But, helped greatly by the brightness of the cinematography, there’s a mature warmth in his attentions to his more than slightly fragile wife. Meryl Streep, too, gets her role exactly right, with the comic undertones never overplayed. However, in the case of Marguerite – haunted unfairly perhaps by Madame Bovary – love is not quite all you need. Compared with Florence, the cinematography is often darker, the camera’s physical distance from the characters often greater, making them feel more haplessly fated. 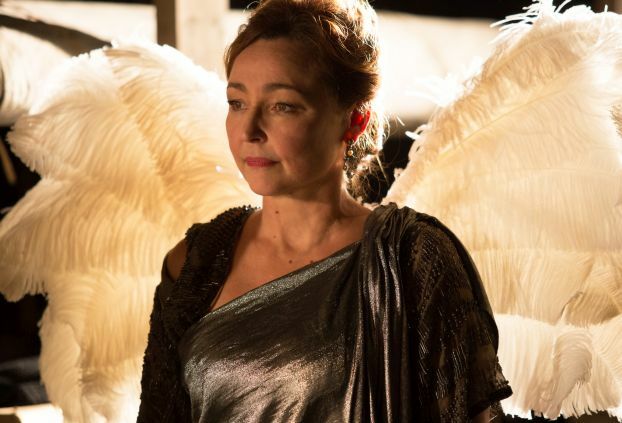 Nevertheless, l’amour, in one climactic moment, is enough to make Marguerite sing like an angel – for about eight bars. But that inspiring glimpse of the husband who, most unexpectedly, attends her gala-performance, is not enough: the miracle fades as quickly as it came and we’re back to the usual forced croak, which this time leads to Marguerite’s collapsing on stage with a throat haemorrhage. Yet even this over-the-top operatic incident is survivable, that is until she finally achieves another long-cherished ambition – to hear a gramophone recording of her own voice. And then she does, indeed, croak her last. If this sounds rather harsh, Giannoli has, from time to time throughout the film, added the raucous song of a peacock in the grounds of Marguerite’s chateau. This beautiful creature’s far from beautiful cry has often been prompting us to muse, albeit subliminally, on the whole nature of “seductive” sound. Our cultural take on “the human tragedy,” meanwhile, is being put through some pretty severe paces as we look and wonder at political events in Europe and America. The big message of the moment seems to be that “the liberal-left agenda” is and always has been a whited sepulchre – a thinly veiled symbol of “moral decay.” We have, it seems, been forced to listen to too many lying records of ourselves, records designed to kill off not only pauvre Mozart but anyone who has ever had a dream. So we must stop embracing death and taxes – especially taxes. But before we finally bid farewell to the wit and wisdom of never-actually-president Ben Franklin, there is an arty gloom so calculated to bind us in a warmer, closer human harmony that I must, however briefly, make a last fond reference to it. But what actually killed Marguerite was not some sudden attack of self-awareness from which she should and could have been spared: the real cause of death was that overprotective environment in which the slightest hint of criticism was always glossed over – a prolonged distortion of reality yet more cruel than her gone-wrong attempts at coloratura. Having established that an awareness of upsetting truths is basic to survival, it’s not such a huge or bizarre step to see how they can – given a chance – actually become life-enhancing. In the arts and starting immediately after the Second World War (one was obviously not enough), this tradition of healthy truth-telling is, I think, most clearly discovered in Absurdist Literature and, a bit later, Absurdist Cinema. 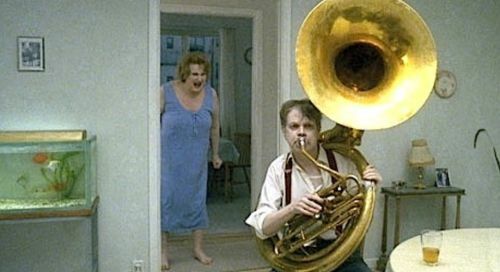 In the latter case, I’m far from alone in reverencing the extraordinary films of Roy Andersson. If you don’t know them, try, for example, You, the Living (2007) or A Pigeon Sat on a Branch Reflecting on Existence (2014). As the Swedish name implies, Andersson “belongs” to a wider tradition of Northern Gloom. But he travels far beyond noir, far even beyond Bergman, not only evincing the hardness of our lot, not only using satire to question it, but embracing “the human tragedy” with such artily observed exactitude, such stylistic panache that we find ourselves spontaneously laughing – as we do in real life – at stuff going so disappointingly, so overwhelmingly wrong. As a coda on the last point, I’d like to share a recent literary discovery. 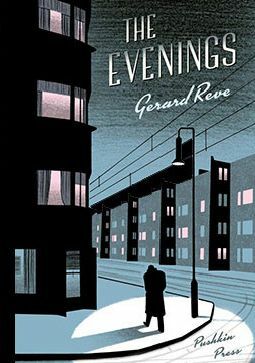 It’s a Dutch novel from 1947 called The Evenings by Gerard Reve, an author long revered by book fans in the Netherlands. But only in 2016 was an English-language edition put out by the eminently wise Pushkin Press. With a sensitive and nuanced translation by Sam Garrett, this is an “absurdist” masterpiece over which I don’t apologize for gushing. And I don’t even blush (too much) to mention it in a film journal. In those excruciatingly humdrum, minutely observed postwar days around Christmas and New Year, Frits, the twenty-something young man stuck in a dead-end office job and still living with his aging parents, has no highlights in his life. Though if such implausible joys were to occur, maybe – only maybe – they would have something to do with visits to his local cinema, The Lantern. Unless otherwise noted, all images are screenshots from YouTube trailers and/or the DVD(s). D. J. M. Saunders is a practising artist who lives and works in Cardiff, Wales. Next story Superman v Objectivism: Forget Lex Luthor and Brainiac; Could Ayn Rand Be Superman’s Biggest Enemy?